You are browsing the Blog for Trichechus Archives - Science Heathen. Manatees are a type of very large, long lived, and intelligent marine mammals that live primarily in the coastal waters of the Gulf of Mexico, the Caribbean Sea, the Amazon Basin, and West Africa. The 3 species are: T. manatus (Gulf of Mexico and Caribbean Sea), T. inunguis (Amazon Basin), and T. senegalensis (West Africa). While often solitary, they are also known to congregate in large numbers in shallow waters at certain times of the year. They often perform regular migrations from coastal estuary waters deep into inland river systems. This is especially true of the subspecies that inhabits the waters off of Florida (T. manatus latirostris). This subspecies makes regular migrations into the Crystal, the Homosassa, and the Chassahowitzka river systems, amongst others. 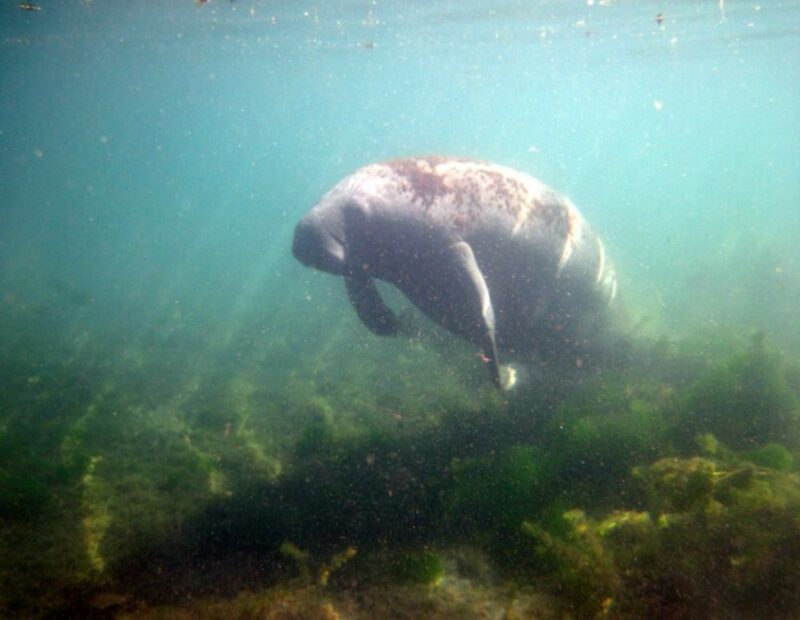 Amongst the notable qualities of the manatee, are a number that are nearly unique amongst mammals — including the fact that manatees have only 6 cervical vertebrae (possibly due to mutations in the homeotic genes). The only other mammals to only have 6 cervical vertebrae are two-toed and three-toed sloths. And, perhaps most strangely, manatees are the only animal of any kind that’s known to have vascularized cornea. New posts by email. Nothing else. Science Heathen is proudly powered by WordPress and BuddyPress. Just another WordPress Theme developed by Themekraft.